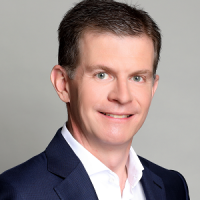 Guy Phillips is Senior Vice President Development – Asia & Australasia for Hilton Worldwide. Guy has been with Hilton since 2002 and in his current role is responsible for leading the development of Hilton’s portfolio of brands across the region. During his time with Hilton, Guy has built key development alliances and negotiated a broad range of transactions across Asia Pacific and the Middle East. Guy has lived and worked in Asia for the past 23 years. Prior to joining Hilton Worldwide, he held management positions for seven years with Mandarin Oriental Hotel Group in Hong Kong and Jakarta, and prior to that, with Four Seasons and Hyatt in his native Australia. Guy has an MBA from INSEAD and currently resides in Singapore with his wife and two sons.